MEYLE electrics and sensors – simply don't fail. The number of electronic on-board systems is constantly increasing with the system becoming ever more complex. Comprehensive safety equipment, comfort packages and automatic fault diagnosis call for an increasing number of sensors. Modern vehicle technology without electronic driver-assistance systems is unthinkable. However, this makes the vehicle more vulnerable to a variety of defects. Here is the good news: MEYLE also supplies a wide range of electronic parts built to OE specifications. 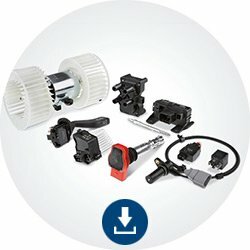 In addition, we offer repair-friendly full-service kits containing all part required for professional repair. Our active sensors are highly sensitive, which is why we carefully pack them in very special materials to prevent any accidental spark over. about electrics and sensors as download files.